Place all ingredients except seaweed in glass jar or soup thermos. When it’s time for lunch, add hot water and mix well with fork to incorporate the miso paste. Add seaweed crisps and stir again. 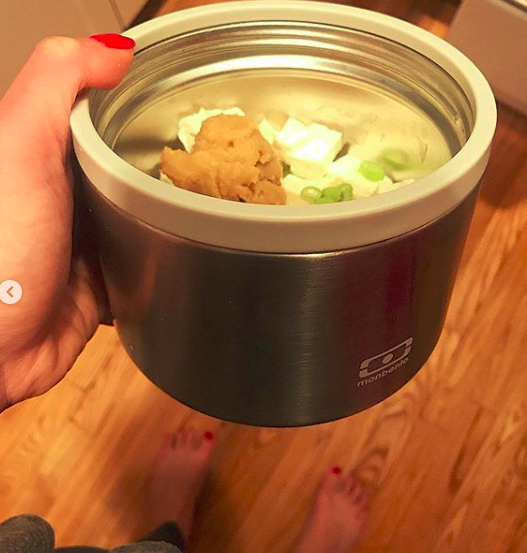 This new soup thermos by Japanese-American company Top Drawer makes all my portable Ayurveda dreams come true so I can avoid a microwave and still have a warm, nourishing, homemade meal. 2 minutes. F*ck yes!